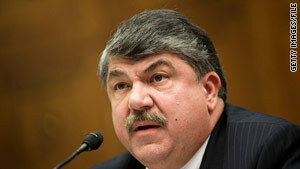 AFL-CIO chief Richard Trumka says Democrats may risk labor's support if the bill taxes high-cost health plans. Washington (CNN) -- Union leaders, the White House and congressional Democrats have agreed to limit the reach of a tax on high-end health insurance plans that would help pay for a proposed overhaul of the U.S. health care system, union leaders involved in the talks said Thursday. The proposed thresholds for taxing health plans will be raised from $23,000 to $24,000 for families and from $8,500 to $8,900 for individuals, AFL-CIO President Richard Trumka told reporters. Dental and vision benefits won't be counted toward that amount after 2014, he said. Health plans covered by union contracts would not be subject to the 40 percent tax until 2018 -- a transition period union leaders said is comparable to those offered to other private insurers. The threshold for taxing other plans will be adjusted by 1 percent above the annual rate of inflation, and plans involving large numbers of women or the elderly will get breaks as well, Trumka said. The changes will reduce the $150 billion expected to be raised over 10 years by about $60 billion, he said. And union plans would be able to enter the health care exchanges set up under the bill in 2017, he said. The tax on what have been dubbed "Cadillac" health care plans is a key feature of the Senate health care bill, but it has drawn opposition from Democrats in the House of Representatives and from unions. President Obama, who has made health care his top priority in Congress, supports the excise tax as a way to contain the rise of health-care costs. Trumka and other top union officials have held a series of talks at the White House for the past three days as congressional negotiators tried to merge the two bills together. He warned earlier this week that congressional Democratic candidates could risk losing labor's support if the final bill included a tax on high-cost health plans. But he said that despite all-but-total Republican opposition in both houses of Congress, supporters of health care reform stood "on the threshold of a milestone." "We don't look at this as the end of our fight for real reform, but another step along the way in the quest for real reform," Trumka said. Labor leaders said the changes they negotiated would help not only union members, who make up about 12 percent of the U.S. work force, but all working families. But Don Stewart, a spokesman for Senate Republican leader Mitch McConnell, dismissed the plan as "a sweetheart deal." "Americans are overwhelmingly opposed to this bill," he said. "Another sweetheart deal isn't going to turn that around." A CNN/Opinion Research Corp. poll released Thursday found much stronger support for the financing plan in the House bill, which would impose a 5.4 percent income tax surcharge on incomes higher than $500,000 for individuals or $1 million for couples. The survey found 61 percent of the public favors the House provision, while the Senate bill drew 29 percent support. Trumka told reporters that leading Democrats were behind the compromise. But House Speaker Nancy Pelosi, D-California, said she had not seen anything in writing Thursday evening. Rep. Joe Courtney, D-Connecticut, a leading opponent of the excise tax, said the proposal was more fair than the current Senate bill. "However, the devil is in the details, and I will reserve judgment on any compromise until I have had the time to review the proposal," he said in a written statement. Obama did not directly address the plan as he addressed reporters ahead of a House Democratic Caucus meeting Thursday night. But he dared Republicans to run in the November midterm elections on a platform of rolling back "something that Washington has been talking about since Teddy Roosevelt was president." "If Republicans want to campaign against what we've done by standing up for the status quo and for insurance companies over American families and businesses, that is a fight I want to have. If their best idea is to return to the bad policies and the bad ideas of yesterday, they are going to lose that argument." Democratic negotiators planned to return to the White House late Thursday. A senior leadership aide said Democratic leaders and White House officials want to send the bulk of the health care package to the nonpartisan Congressional Budget Office for a cost estimate soon -- even as soon as the end of this week. The aide said the controversial issues of abortion and immigration are not likely to be resolved by then, but because they would have no impact on the cost of the bill, negotiators could work out those details separately. House Majority Leader Steny Hoyer, D-Maryland, said negotiators are working to get agreement on the overall health care package by the end of this week. "That's been the goal. But it's a goal, it's not a deadline," Hoyer said. CNN's Dana Bash, Deirdre Walsh, Ted Barrett, Lisa Desjardins and Matt Smith contributed to this report.